Spending sleepless nights with your new iPhone? Great! But, how are you going to transfer the contents of your old iPhone to your new iPhone? Given it thought? No? That’s perfectly fine. 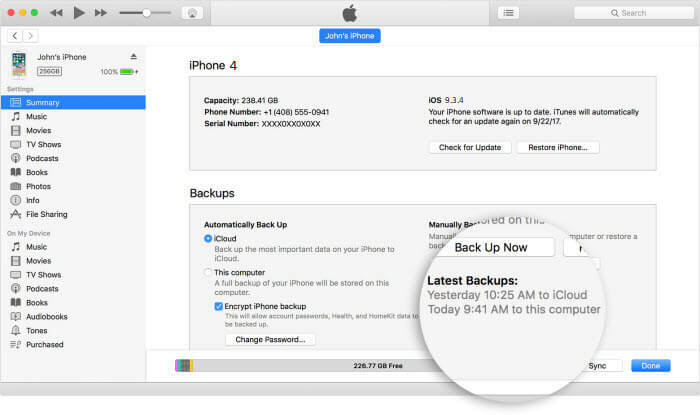 You can now set up your new iPhone using a backup from your old iPhone. In this article, we’ll tell you how you can sync old phone to new phone in just a few steps. Read on to know more. Method 1: How to Sync Old iPhone to New iPhone with TunesMate? Method 2: How to Sync Old iPhone to New iPhone with iTunes? Method 3: How to Sync Old iPhone to New iPhone with iCloud? How to Sync Old iPhone to New iPhone with TunesMate? If you’re looking for a smart and easy way to sync old iPhone to new iPhone, iMyFone TunesMate is here to help! 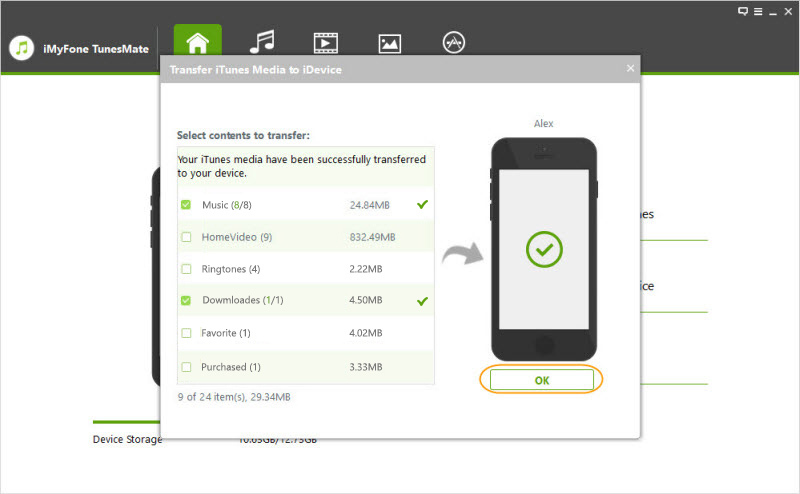 Using TunesMate, you can transfer your data from your old iPhone to iTunes and then from iTunes to your new device. While it may sound a bit cumbersome, the process is super easy. Both the steps are 1-click steps, and the interface are user-friendly. Transfer different files from the iOS device to the computer and vice-versa – photos, videos, music, audiobooks, podcasts, and a lot more. You can selectively transfer the files you want without syncing all data together. It enables you transfer all your data just in one click. 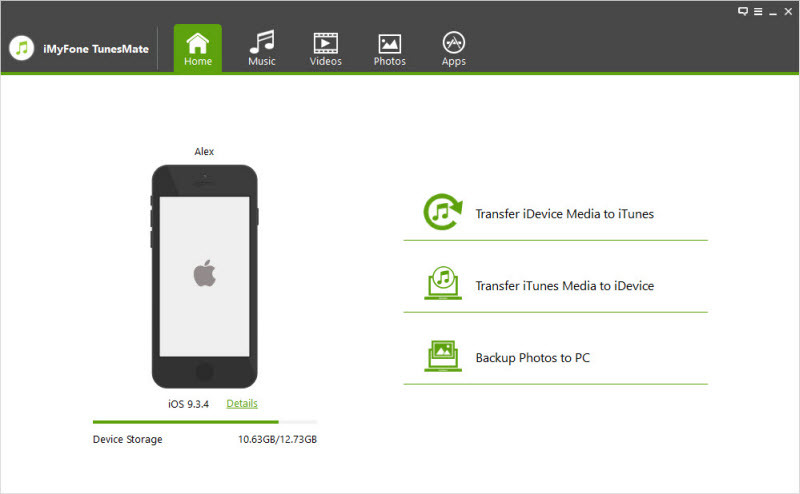 It bypasses the limitations of iTunes and lets you freely manage your media files. No data loss during file transfer. Open iMyFone TunesMate on your PC. Meanwhile connect your old iPhone to your PC using a USB cable. On the home screen, pick the “Transfer iDevice Media to iTunes” option. Check the boxes next to the files you want to transfer and hit the “Start” button to initiate the transfer process. Once the transfer is complete, connect your new iPhone. And click on “Transfer iTunes media to iDevice” option. Choose the files you want to sync with your new iPhone and it's done! Yes, as mentioned in the title of the article, it’s that easy! How to Sync Old iPhone to New iPhone with iTunes? You can create a backup of your old iPhone using iTunes and use the backup to set up your new iPhone. Connect your old iPhone to your PC. Launch iTunes and ensure that you are running the latest version. Pick your device and click the “Back Up Now” button. 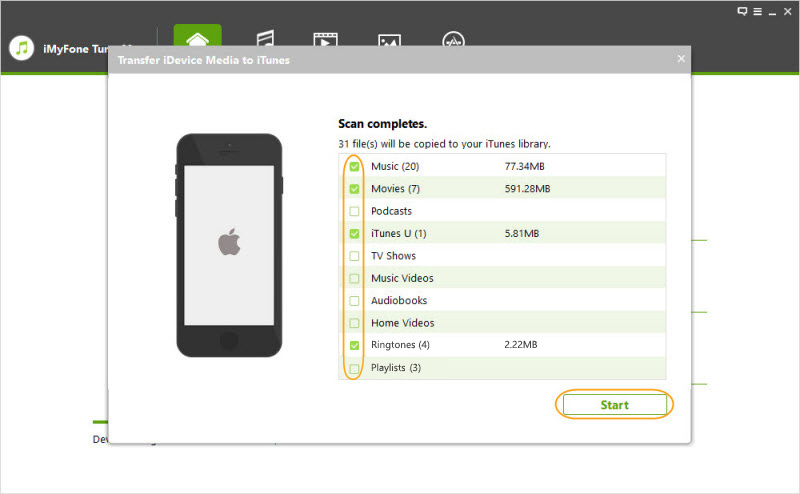 Once the backup process is complete, check iTunes Preferences>Devices to see if the backup was successfully created. 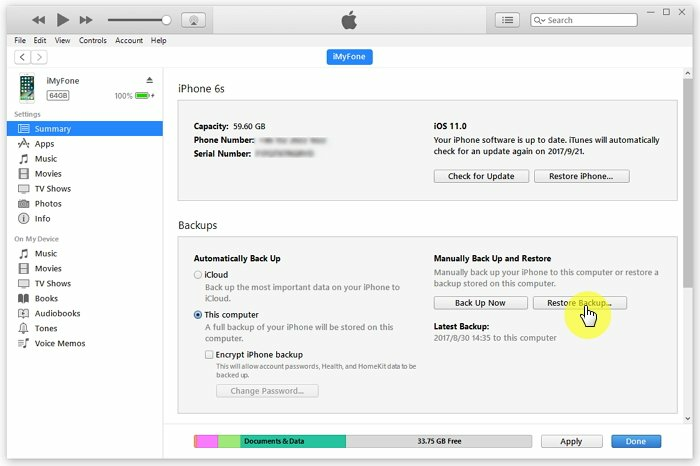 Just check for the name of your device along with the date and time of the backup created by iTunes. Switch on your new device and wait for the message “Hello” to appear on the screen. Continue with the steps until the “Apps and Data” screen is visible to you. Then tap the “Restore from iTunes backup” option and hit the “Next” button. Connect your new iPhone to the same PC you used to back up your old iPhone. Launch iTunes on your PC and pick your new device. Pick the “Restore Backup” option and choose a relevant backup. Patiently wait for the restoration process to complete after which your old iPhone data will be transferred to your new iPhone. How to Sync Old iPhone to New iPhone with iCloud? In this section, we’ll guide you on how to sync old iPhone to new iPhone using iCloud. Keep reading to know more. Launch the “Settings” on your old iPhone. Tap on your picture on the top followed by iCloud. 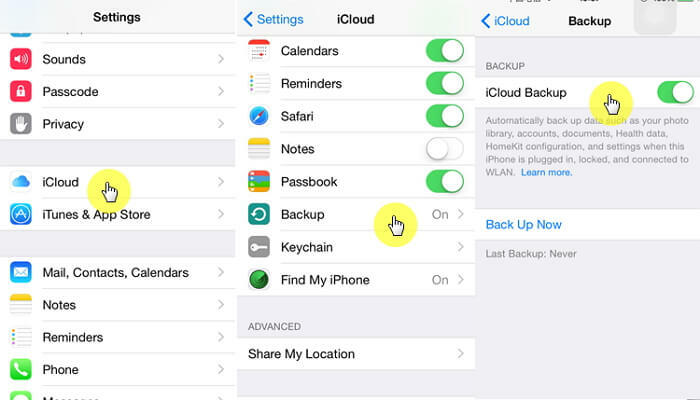 Scroll down to the “Back Up iCloud” option and tap the button. Check if the iCloud backup is switched on to green. Now, hit the “Back Up Now” button to force a backup. 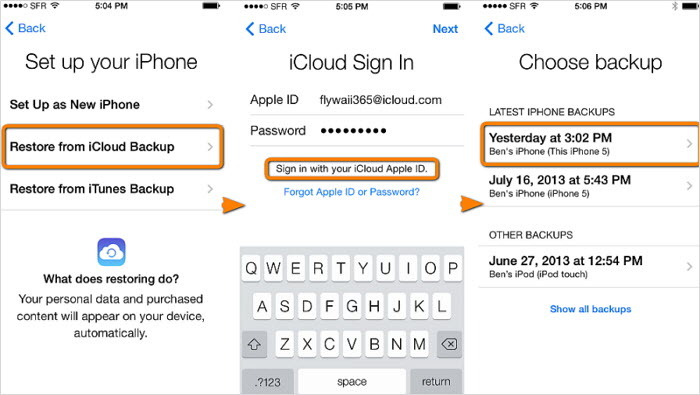 Log in your iCloud account on the new iPhone. Then tap the “Restore from iCloud backup” option and hit the “Next” button. If the backup of your old iPhone is too large, you may have to purchase extra iCloud storage to completely back up the data. Even though there are three methods to sync old iPhone to new iPhone mentioned in the article, the first method i.e. the TunesMate method is the most efficient method. The other two methods come with a limitation each which makes them less preferable. Download TunesMate now and enjoy the free trial now!